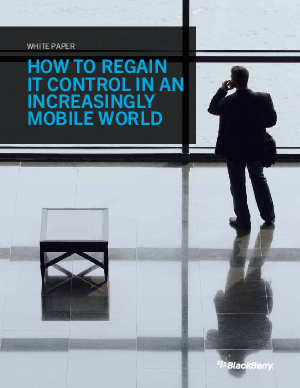 Ensuring the security of mobile devices without compromising user experience is no easy task. IT is often forced to accept risks or alienate users - neither of which is acceptable. Finally, there's a way for IT to give both aspects the attention they deserve. Find out what BlackBerry Balance® can do for your organization.